There’s a lot going on here. A lot of music that for me fits into what and who I am. I found myself so happy to have these hands on the music I wanted to express and a chance for most to see what ties it all together. I wasn’t guessing, I truly knew that this was where I belonged. It was real sophisticated soul, Contemporary Jazz, and the music that I loved the most. 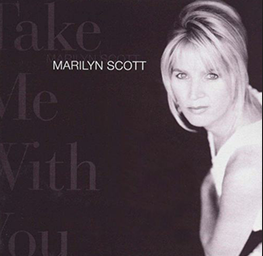 After a number of years paying her dues as a backup singer and recording for a number of indie labels with mixed success, Marilyn Scott finally brings her crisp, romantic vocal stylings to Warner Bros. onTake Me With You, a stylish potpourri of pop, soul, jazz and Brazilian influences tailor made to fit the definition of the finest in Adult Contemporary music. While Scott‘s powerful yet subtle and smoky voice ties all the loose threads together, the collection’s strengths lie in its frolicsome diversity. Scott changes moods depending on the producer du jour. George Duke elicits cool, straightforward pop, while longtime cohorts Russell Ferrante and Jimmy Haslip forge her range from standard to hip-hop influenced jazz. 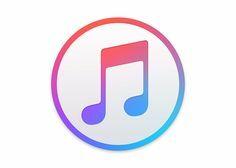 Ironically, the most exciting track, a percolating Brazilian treatment of Stevie Wonder‘s “Bird of Beauty,” is also the least commercial from a corporate marketing standpoint. Without the radio typical sheen, producer Dori Caymmi allows Scott to romp through a loping playground where even elegant Kevyn Lettau-like Portuguese is within the realm. Perhaps the reason it’s taken Scott so long to break through on a higher level is the type of stunning diversity typified here. It’s been worth the wait.